Situated at Thane in Maharashtra, we have established an ultra-modern infrastructure facility that enables us to manufacture a quality adhering range of products in bulk quantity. This unit is divided into various segments like manufacturing unit, quality testing department, research & development division, administration facility and sales and marketing department. The units are well-equipped with the latest machinery and equipment that help us in manufacturing the products in compliance with the international standards & norms. We frequently send our machinery and equipment for servicing, so as to ensure their trouble-free functioning. Inside our infrastructure, we have established a sprawling and capacious warehousing unit, which provides utmost protection to our range. Well-installed with all the required material handling equipment for easy retrieval of our finished products. Moreover, our warehouse is properly synchronized in the varied labeled sections, in order to ease the identification of our offered range. The storekeepers that we have hired to take complete care of incoming and outgoing consignments, keep a track record on final dispatch. 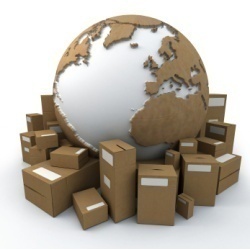 While packaging the products, our personnel make sure that each product is well packed and delivered at clients' destination without any damage.